The Rivers of America are Back!!!! The Rivers of America opened back up today which brought us new maps. Same covers but with new codes on the front and new bright green maxpass ads on the back. The awesome new rocky backdrop of the River is featured on the inside of the Disneyland Map. I’m assuming these maps will last throughout the summer until the Halloween Maps come in September. Happy 62nd Birthday Disneyland!!! To help celebrate, we got new maps today! With the launch of the new Fantasmic tonight, we have new maps at both parks. 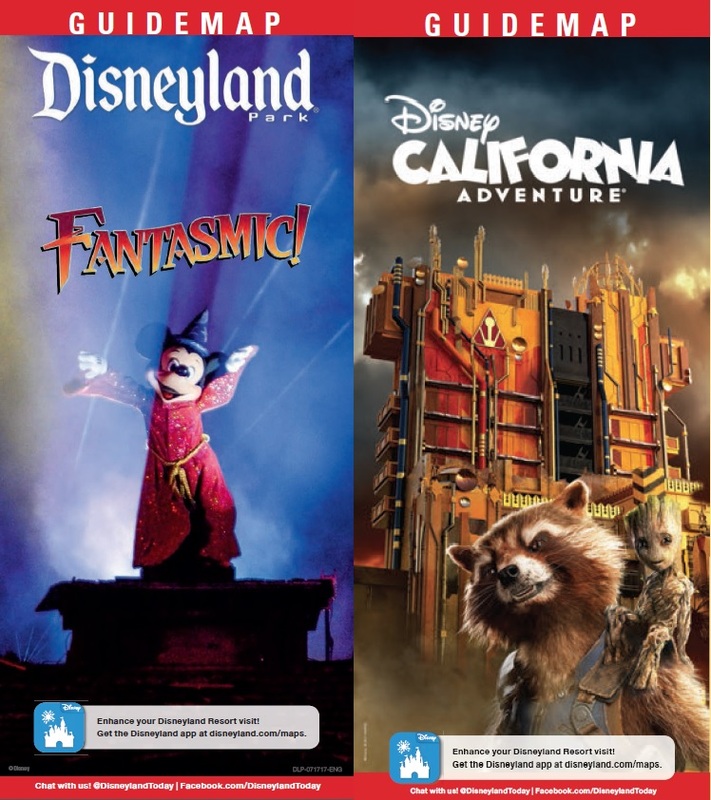 Disneyland is featuring the Fantasmic on the cover while DCA stuck with the same Guardians of the Galaxy cover. These maps should only be out for 12 days or so as we should receive new maps on July 29th when the railroad and river attractions open back up. These maps will soon be followed with more maps probably around July 27th when the Railroad and Boat attractions return that will probably last throughout the summer until HalloweenTime comes around.